Above: The SOUVIM 2 system comprises two vehicles, the one at the front is fitted with the low pressure tires which are not being used with the counter-IED mission in Afghanistan. 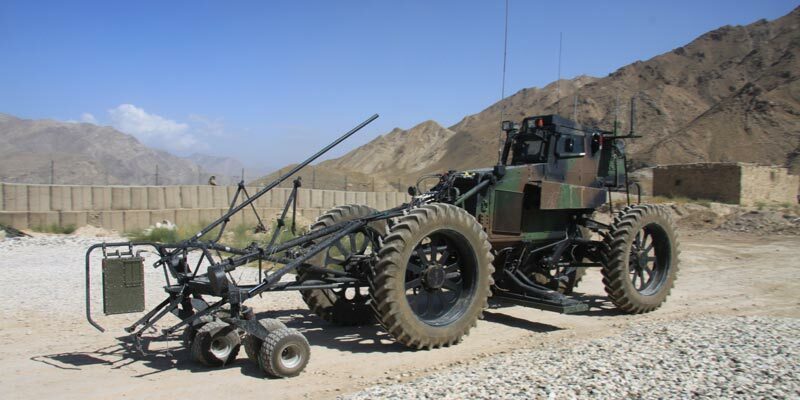 Following several years of development of a complex and ambitious route-clearing counter-mine system, the French Army has halted the original program, transforming the available assets to better cope with Improvised Explosive Devices (IEDs) in Afghanistan. Since their deployment to Afghanistan six months ago the unit operating SOUVIM 2 encountered 18 IEDs at a rate of 1-2 per week. About one third of the detections were attributed to SOUVIM. 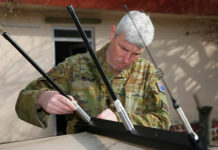 The diversion of the program began in response for an urgent operational response which described the requirement for a system that will be able to detect and defeat IEDs along movement routes, in support of the French contingent in Afghanistan. The original SOUVIM was not tailored for this task, as it was oriented to detect and disrupt various mines – anti-personal or anti-tank magnetic or pressure mines laid along roads in typical ‘cold war’ style. 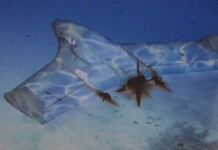 In contrast, insurgents use improvised devices, non-standard materials, which do not necessarily leave a clear signature that can be addressed by specific countermeasures. 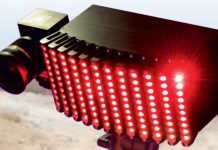 “The first step in the evolution of SOUVIM 2 was to adapt the most suitable detectors and countermeasure set.” Lt. 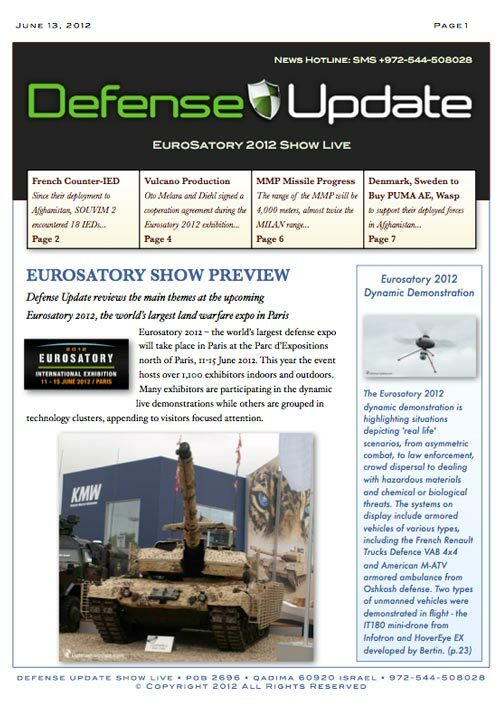 Colonel Philippe Boyer-Vidal, French Army project manager for C-IED programs told Defense Update. 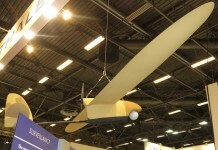 “These now include new sensors and multi-function decoys, including new pressure rollers, multiple infrared decoys designed to deceive simple passive infrared triggering and RF jammers disrupting command signals reception.” In total the French Procurement Agency (DGA) ordered four systems, comprising two vehicles each (VDM + VDR). The first two out of three vehicles arrived in Afghanistan in 2009 and immediately joined rout clearing platoons. A third vehicle is maintained for training in France. The remaining vehicles are expected in theater within 12 months. These were based on the South African Husky, modified for the French mission with additional armor, roll-over escape hatch, air conditioning, communications and a new set of heavy duty wheels adapted from standard tractor supplies. The SOUVIM 2 weighs about 5.9 tons, and can travel at speeds of 15-25 km/h on route clearing mission. Enhanced protection armor kits are also being delivered, including counter-RPG defense and multi-spectral camouflage, thus reducing the vehicle’s visible and IR signature. 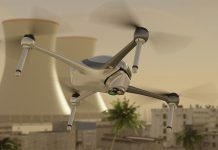 Other improvements being considered are the introduction of ground penetration radar (several types are being considered), as well as remotely operated weapon on top. Originally, the VDM was designed to be immune to pressure mines, thanks to the unique low pressure ‘balloon’ tires pressurized at only 0.3 Bar. 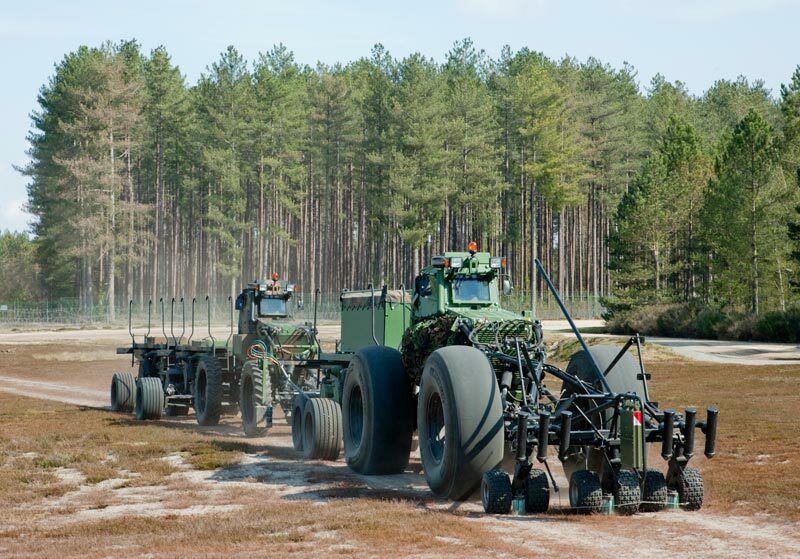 However, these unique tires were found unsuitable for the Afghan mountain environment and, for the current mission, were replaced by heavy duty commercial off the shelf tractor tires. 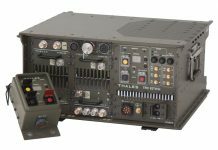 “Eventually, all eight VDMs will be configured for the C-IED mission, but will be convertible for the original SOUVIM mission, if the requirement surfaces, as the vehicle will be operated as part of the regimental route clearing company, along with the Aravis security vehicle and Buffalo route clearing vehicle. 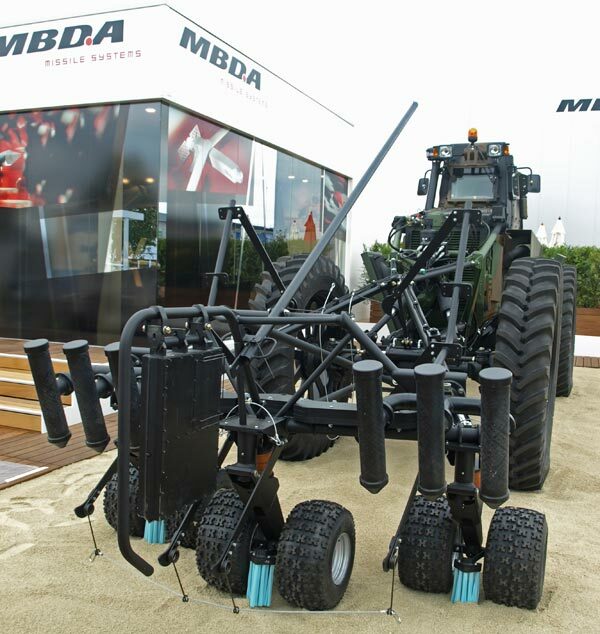 This proven capability will also become part of the French contribution to the European Defense Agency initiative on countering IEDs.” Boyer-Vidal added.